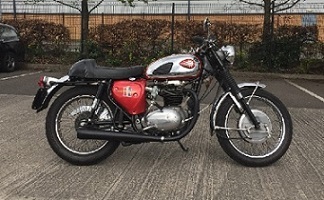 I have a 1970 BSA Royal Star that has always been a one or two kick starter and run reliably for several years. A year ago I had the head reconditioned and put new rings in after giving the bores a good honing. I also had the oil pump off and reconditioned that. On completion I was getting a compression of 150psi on both sides. Ran the engine in and all OK for 6 months until one day the engine started to misfire quite badly and then there was some mechanical noise and the engine died. Once home I discovered that the inlet pushrod on the right side had come off the rocker due to the valve sticking very slightly open. Turned out the engineer had forgotten to ream out one of the valve guides but there was no other damage. Rebuilt the engine and ever since I have had problems with the bike misfiring badly on the left side. No power at all, then it would pick up for a few seconds then start misfiring again. I have changed both plugs, leads, suppressor caps, coils and finally in desperation swapped the Boyer for a Wassell Ignition system. It makes no difference. The bike starts, but not as well as before and runs reasonably well until it gets hot and then I try to uphill. It starts misfiring as soon as I open up the throttle to go uphill, starts smoking badly on the left pot and continues to misfire for the rest of the ride home with the occasional small bursts of power. I checked the sump to see if it could be wetsumping but only found an eggcup full of oil in there. The plugs on both sides are dry when I get home, when I would have expected one of them to be wet. My last hope is to change the ignition switch as I have had trouble with them before, but didn’t get symptoms like this. The compression is still 150psi on both sides. Maybe the engineer didn't fit the left hand guides too well, perhaps a guide is loose in the head hence the smoke and power loss? I would take the head off and see what's going on. Last edited by gunner; 04/15/19 10:59 am. Put a dial gauge on top of the rocker and check cam lift, if a pushrod had stuck there is a possibility that there has also been excess cam wear. do you check on all 4 rockers. If this checks out, pull the cylinder head and check the bores, I've had a ring score a barrel before now due to the exhaust gasses not escaping. Im guessing your not using a 2-1 siamese on this and 2 seperate pipes with cross over as standard? They are two separate pipes without a crossover. - clean the carb out, maybe there's some dirt or blocked passages, I'm assuming you have a single carb? Unless you have heavy over oilling at the top end by not having the restricter (split pin) fitted then I’d say whip the head off andcheck the bores for scoring. Failing that whip the barrel and check you haven’t broken a ring. I’ve just re-read your first post again. Problems start when going up hill... your adding load and the plug needs a stronger apart to fire... the coil can’t keep up and gives you this problem. I had this issue a few hundred miles in when I first rebuilt my bike, I was told to change everything but the coil, in the end I swapped it with one off another bike... sorted it and bought 2 new PVLs for the bike instead of the trash that was on there before.... the trash coils were new! In the first post a coil change is mentioned. You can temporarily short out the ignition switch , put the white wire onto the same terminal as the brown / blue. That will eliminate the switch for a test. Of course, you wont be able to switch it off, stall to stop if necessary.